Lighting Control Systems - Spectrum Solutions, Inc.
SSI’s team designs, installs and commissions various lighting control strategies for interior and exterior lighting circuits. These controls include multi-level lighting, vacancy/occupancy sensors, photosensor dimming control, and dusk to dawn photocell controls. Advanced systems include vacancy/ occupancy sensors integration with Variable Air Volume (VAV) units and the installation of control GUI that allows power monitoring of lighting to the square foot level with scheduling control capabilities. 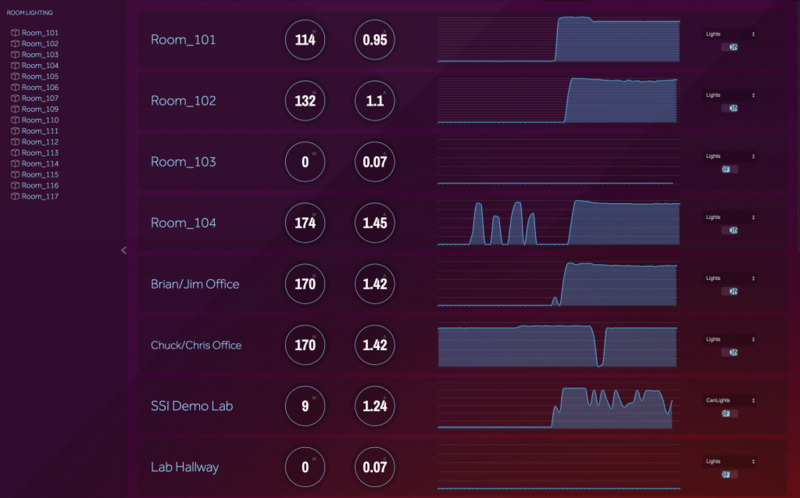 Occupancy, vacancy, daylight harvesting sensors and controls. Rooftop solar tubular daylighting devices to inject natural lighting into areas to complement daylight harvesting and digital lighting controls. Occupancy/vacancy sensors controls for multi-level dimming. Integration into an Energy Monitoring and Control System (EMCS) may provide power monitoring, scheduling and performance verification (M&V). Occupancy controls for interior lighting can be Integrated into HVAC systems for VAV control and yield additional energy savings. Typical photocell control for dusk to dawn operation. Federal Energy Management Program (FEMP) lighting retrofit financial analysis tools provides customers the potential cost and energy impacts of a lighting upgrade. Energy efficient emergency egress signage.